The Lourie Center Columbia South Carolina | Providing opportunities for adults over 50 to remain physically fit, socially engaged, intellectually stimulated and independent. Click here for our April. May, June programs and classes. Tickets and Sponsorship Opportunities Available! "Social engagement, fitness, creative and educational programs enhance every part of my life." 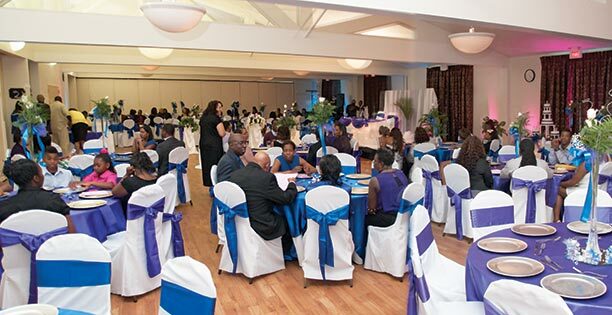 Discover the Lourie Center for Your Special Event. Full Membership is just $35 per month for unlimited classes, no contract! Join online or at the front desk. Members enjoy a wide variety of fitness classes, two fully-equipped gyms, educational and creative programs, and more. Affordable, elegant meeting and event rooms with dedicated parking, a catering kitchen, and over 18,000 square feet of configurable space.